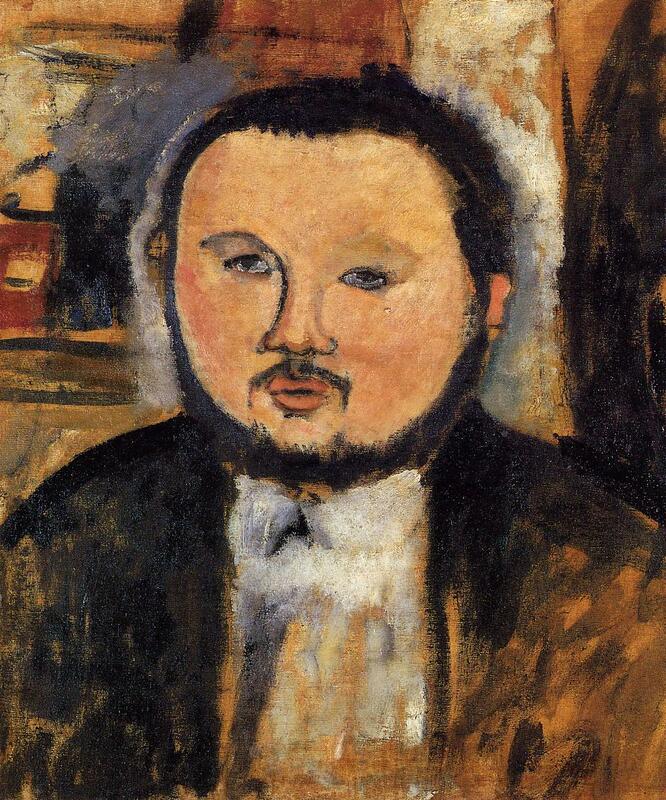 This painting, Portait of Diego Rivera, was painted on 1914. 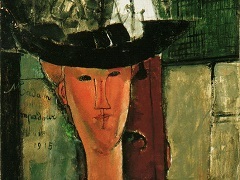 Modigliani painted many of peers and Diego Rivera is one of them. In this painting, Modigliani employed a quite different range of technical means, ingeniously adapted to the personalities of his sitters. 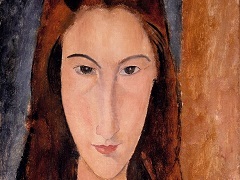 Though the dominant note in most of Modigliani's portraits seems to be one of melancholy and wistful loneliness, these are far from being the only sentiments or the only moods he is capable of expressing. 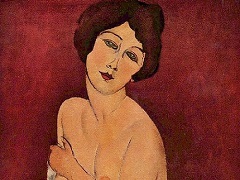 Modigliani was capable of portraying not only such as these, but also the complacent and self-satisfied, the prosperous and successful, fortune's favorites with money in the bank and a place in the sun.